File. New Jersey has set drinking water standards for two chemical compounds known as PFOAs and PFNAs. New Jersey officials announced Wednesday that the state will become the first to set maximum levels for two contaminants of emerging concern that have been found in drinking water and are linked to health issues such as delayed fetal development and high cholesterol levels. Bob Martin, commissioner of environmental protection, made the announcement during a news conference at New Jersey American Water's headquarters in Voorhees. The firm is the largest water utility in the state. "Setting protective standards for these contaminants continues New Jersey's long tradition of being a national leader in using strong science to ensure residents receive the highest-quality drinking water," Martin said in a statement. A panel of experts for the state's Drinking Water Quality Institute worked to develop standards for perfluorooctanoic acid (PFOA) and perfluorononanoic acid (PFNA) and to require statewide water testing. The compounds are absorbed through eating and drinking, and can remain in a human body for years. They are linked to liver and immune-system functions, an increase in cholesterol levels, and delays in the growth of fetuses and infants, according to the Department of Environmental Protection. They also increase the risk of certain types of cancer. Martin said Gov. Christie's administration agreed to adopt the institute's recommendation of 14 parts per trillion for PFOA and 13 parts per trillion for PFNA. Previously, the state had no hard standard for PFOA and its guidance for drinking water was set at much higher levels. It had no guidance for acceptable levels of PFNA. Under New Jersey's new standards, water companies will have to monitor for the compounds and take corrective measures if they are found to be in excess. New Jersey American Water has already installed treatment systems to filter out the compounds. 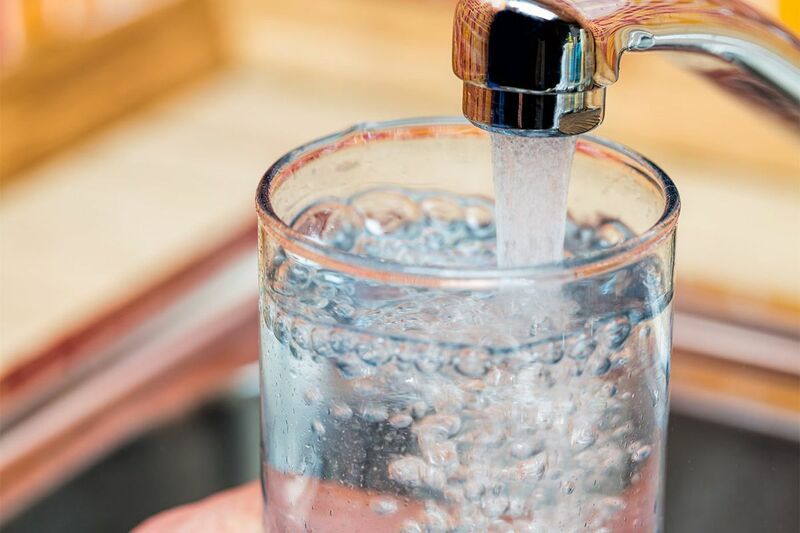 Of particular concern are PFOA levels in areas of Gloucester and Salem Counties that had to add treatment systems or take measures to protect wells near a Chemours facility in Pennsville. The state and federal Environmental Protection Agency are working with Chemours to examine potentially impacted wells in a 2.5-mile radius. The company is building a containment wall to prevent groundwater contamination. In addition, PFNAs were detected in 11 public water systems and some private wells in the two counties and near the Delaware River. Manufacturer Solvay Specialty Polymers used PFNA at its West Deptford plant until 2010. In 2015, Solvay installed a treatment system and is now working to define the extent of groundwater contamination in the area. The New Jersey Sierra Club, which had been pushing for the standards for years, lauded the move but chastised the state for not moving more quickly. "New Jersey is setting very strong standards for these chemicals, which is one of the best in the nation," said the club's director, Jeff Tittel. "The problem is, DEP should have moved more quickly to adopt it with emergency rule-making. New standards for PFNA were recommended by the Drinking Water Quality Institute in 2009." The chemicals have mostly been phased out in the United States, but are still used in other countries. PFOA was commonly used in consumer products including nonstick cookware and food packaging. It was also used to make furniture, carpets and clothing. PFNA was used in the manufacturing of certain plastics.